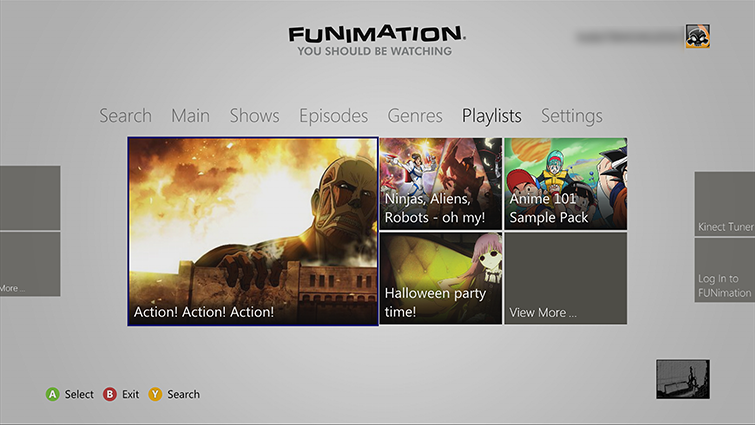 Learn how to install and watch the FUNimation app on your Xbox 360 console. At least 121 megabytes (MB) of available space. Select FUNimation to download and install the app. After the download, the app automatically starts, and you can browse through and view details about the available content. To start the FUNimation app later, go to apps, My Apps, and then FUNimation. When you start the FUNimation app for the first time, you’ll need to sign in with your FUNimation.com user name and password. 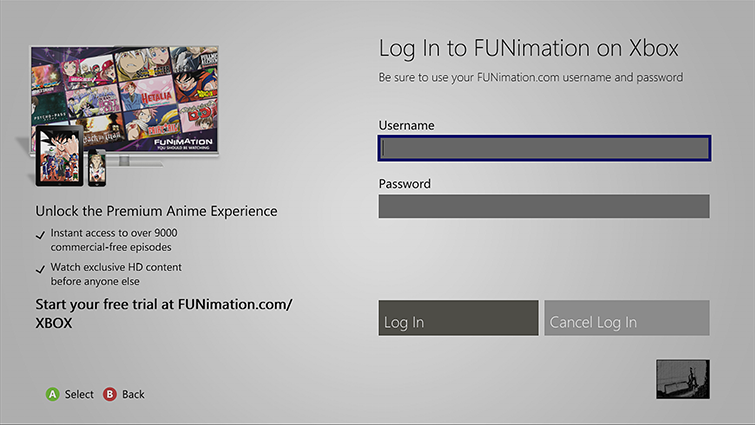 If you don’t have a FUNimation account, you can subscribe or sign up for a free trial at funimation.com/xbox. Once you’ve entered your user name and password, select Log In to use the app. 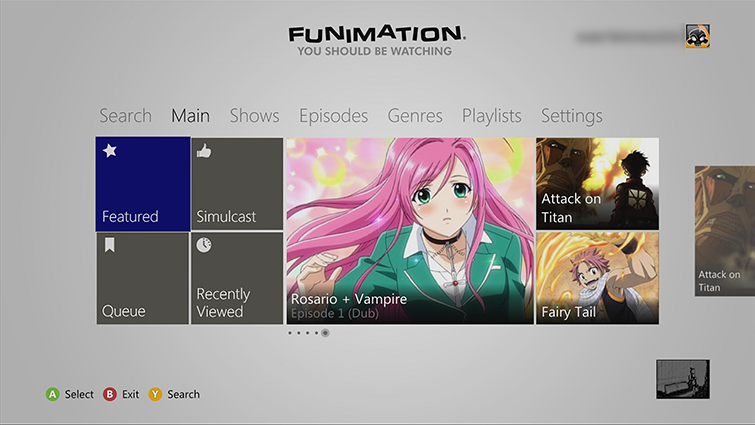 On your Xbox 360 console, go to Video, My Video Apps, and then FUNimation. To watch themed content, use the Playlists hub. Go to the Settings hub in the app and select Log Out. If you use Family Settings to control which movies and TV shows can be watched through Xbox Live on your console, the FUNimation app will follow those settings. For example, if you prohibit viewing of R-rated movies or TV-MA-rated TV shows, those programs will be marked with a “restricted” icon in the FUNimation app. To play a restricted item, an adult must enter the Family Settings pass code. Would you like to contact Support regarding the "Install and watch the FUNimation app on Xbox 360" issue you were reading about or a different issue?